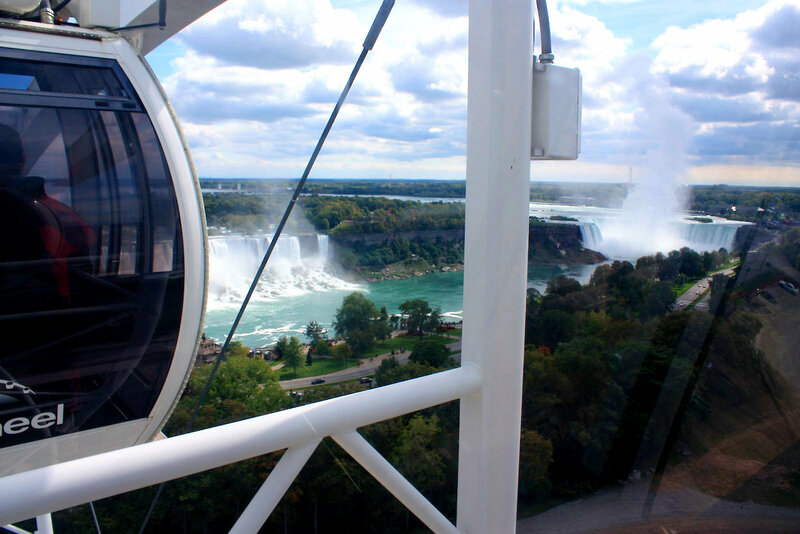 Are you ready for a unique sightseeing opportunity with breathtaking views of the Falls and beyond? 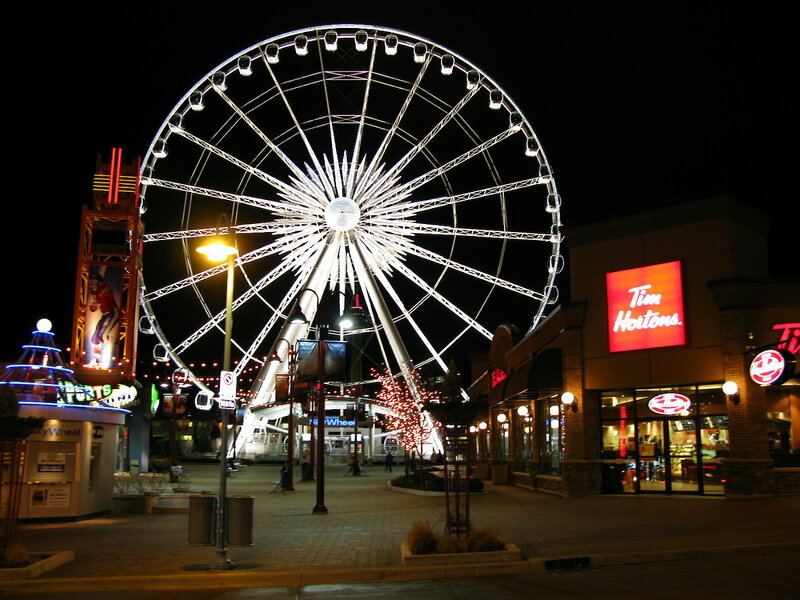 Then head on down to Clifton Hill and take a ride on Canada’s largest observation wheel, the Clifton Hill SkyWheel. 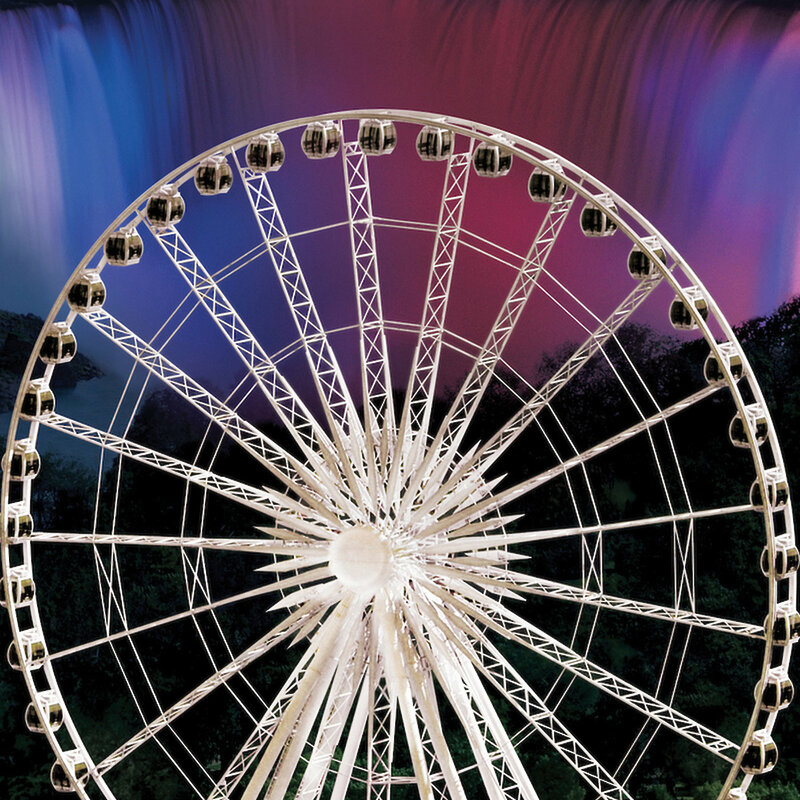 Towering 175 feet (53 metres) over the Niagara Falls horizon, the Clifton Hill SkyWheel is the most exciting way to see Niagara Falls. From this vantage point you will be treated to memorable views of the Horseshoe and American Falls, the Niagara River and other landmarks. 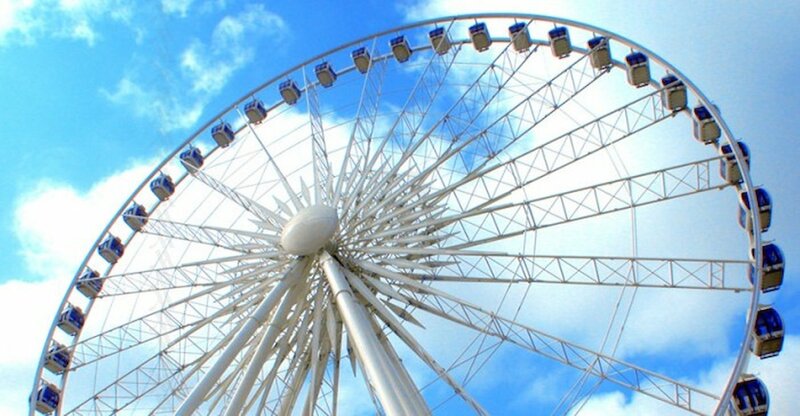 The ride duration varies from 8 to 12 minutes with spectacular aerial views for miles in every direction. 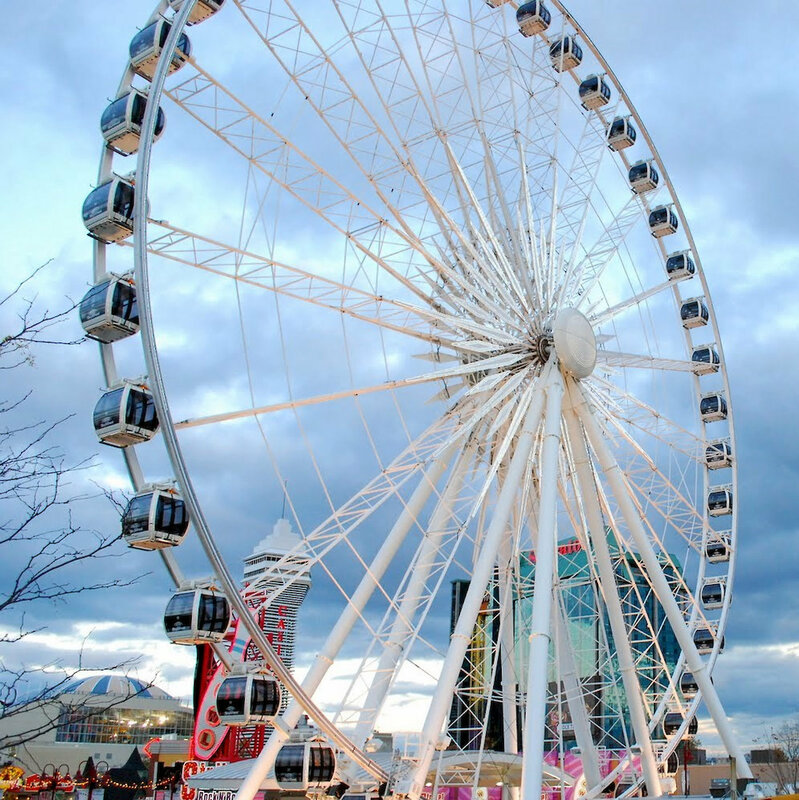 Evening rides offer dazzling views of the glittering lights of Clifton Hill and the surrounding Niagara skyline, there’s no better way to snap incredible photos and quickly get the lay of the land.